Very professional and knew exactly what he was doing. Never a doubt. Lukas was professional, friendly & fixed my dishwasher in a timely manner. I works perfectly! Found the problem quickly and set a reasonable plan to repair the problem. Clear and open communication. Window of time for arrival was accurate and made it easy for us to plan accordingly with work hours. WASHER AMANA NTW4516FW2 Installed new agitator and ran a diagnostic cycle. Operation tested good. MICRO/OVEN WHIRLPOOL WOC95EC0AS04 "Unit completely dead, no display. Pulled unit out on pad and checked fuses, both good. Checked power supply, all good. Found connector on side of unit where line 1 and neutral come in loose, not making good contact. Repaired connector and made sure connection good. Restored power, all ops good, both oven and microwave heating normally"
DISHWASHER WHIRLPOOL WDF560SAFW2 "Control not responding, checked power supply, all good. Unplugged UI and checked connectors and harness, all looks good. Reassembled and reatored power, now display coming on and all ops good. Suspect bad connection between UI and control"
REFRIGERATOR AMANA ASI2575GRS00 Inspected and installed new ref door and transferred components. Door closing and sealing properly. WASHER MAYTAG MVWC565FW1 "Replace parts, calibrate, run test cycle, ok"
WASHER AMANA NTW4516FW2 "Agitator broke, cracked along bottom and fin broke off. Ordering agitator assembly; ordrng 1 285565 (AGITATOR)"
REFRIGERATOR WHIRLPOOL WRS325SDHZ00 "LED dispenser light not coming on, went out right after cust got unit. Installed new UI assembly, which says it has light fixture. No change, and LED assembly is on the ice door assembly and does not even plug in to the UI, runs off the main board. Checked voltage at LED, no voltage. Ordering main board and compartment separator. Parts list show a grey one and a sterling silver one, ordering grey, cust will compare with one on unit when it arrives; ordrng 1 W11163769 (SEPARATOR) and 1 W11174836 (CONTROL BOARD)"
MICROWAVE WHIRLPOOL WMH31017HZ0 "Unit not heating, can hear the magnetron running very loud. Pulled unit down and installed new magnetron. Tested, heating normally. Remounted and tested again, all ops hood"
WASHER MAYTAG MVWB765FW1 Install board ran diagnostics and calibrated unit tested out good no code went thr fine..instruct customer use less soap and load item in but not to stuff it..
DISHWASHER WHIRLPOOL WDTA50SAHZ0 Checked control for codes. None found. Checked water temp at sink 120 deg. Checked water hardness. Cust has softener. Water softener working. Advised cust on unit operation. Advised cust to run hot water to sink before stArting. Advised cust on soap and rinse aid usage. Unit working normally. REFRIGERATOR WHIRLPOOL WRF767SDHZ00 "Installed icemaker and ran through harvest and fill tests, all ops good. Told cust to dump first bin full of ice." DISHWASHER WHIRLPOOL WDTA50SAHZ0 "4-3, replace sump, run test cycle, ok, call techline 7724344087; used 1 W11087376 (SUMP) from stock"
REFRIGERATOR MAYTAG MRT118FFFH01 "Installed ne2 control box and freezer thermister, told cust to expect temps in the freezer of about 0-10 degrees F."
OVEN KITCHENAID KSEG700EBS2 "Installed new oven sensor and main control. Tested, oven heating normally, all ops good"
WASHER MAYTAG MVWB765FW1 "120 to ccu but no operation, need new ccu, order new console just in case; ordrng 1 W11135391 (CONSOLE) and 1 W11135392 (CCU)"
RANGE WHIRLPOOL WFE505W0HS0 The range was miswired. Operation tested good after wiring correctly. 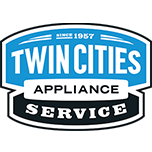 WASHER MAYTAG MVWC415EW1 "Replace parts, calibrate, run test cycle, ok"
OVEN WHIRLPOOL WEE730H0DS0 Installed new cooling fan. Operation tested good. DRYER MAYTAG MEDC300XW1 Installed new timer and we also installed the old push to start switch. Operation tested good. It was the timer contacts the whole time. The push to start was 49.01 with tax so I took that off the 85.90 labor. REFRIGERATOR WHIRLPOOL WRS571CIHW00 Doors not level. Operation tested good after leveling the fridge and adjusting the right hand door. WASHER MAYTAG MHW3505FW1 The front spring popped off the bellow which caused a slight rip. Installed new bellow and ran a test cycle. Operation tested good. DISHWASHER WHIRLPOOL WDT710PAHZ1 "Customer stated none of the dishes are drying. No error codes and the heating element is drawing 8 amps in diagnostics. I instructed her to run the tap before use and select heat dry, sanitize and high temp wash. She also stated she is going through a full tank of rinse aid in 1 week. The dispenser was set to max so I dialed it down and instructed her to keep an eye on it. If still consuming rinse aid like that it will need a new dispenser." WASHER MAYTAG MVWC565FW1 Install drain pump tested out good..